Rattan garden furniture has a look of timeless elegance about it, but there are times when it needs some touching up and repairs. Even if you’re not usually very handy, this is an easy do-it-yourself project. All you need are some simple materials and tools like wicker wrapping, glue and varnish. In just a few day your furniture can be restored to its original beauty. 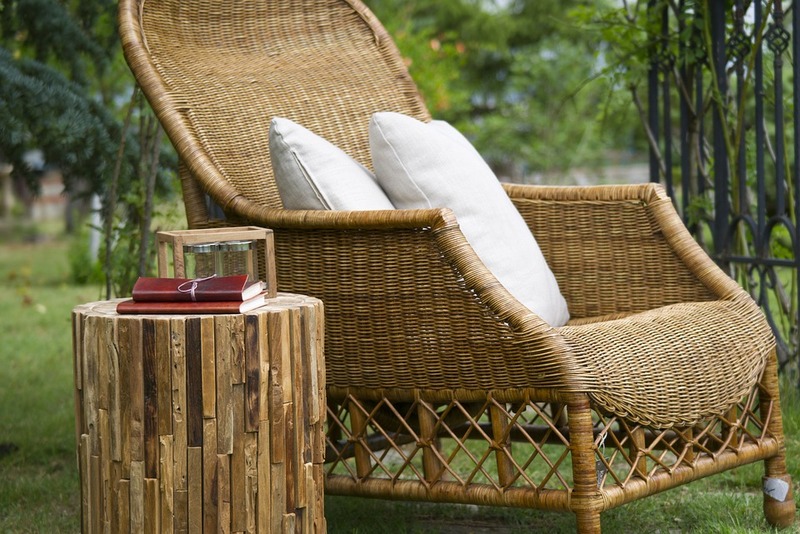 Rattan is made from the fibers of a kind of palm vine. 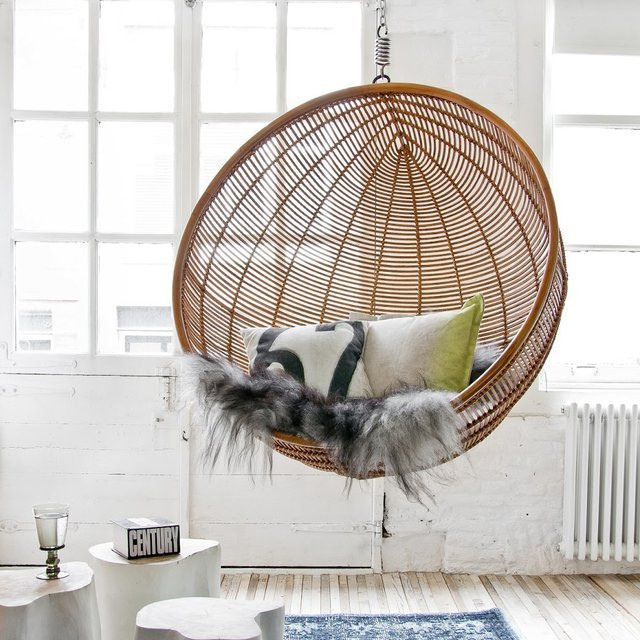 Rattan furniture can be very durable and is even handed down from generation to generation. It does however need repairs occasionally. Most repairs are necessary when the rattan windings have come loose or cracked. You can fix this in just a few simple steps, using easily available materials and tools. Soak the wicker wrapping or caning material in water for half an hour. This will make it flexible and easier to handle. In the damaged section of the furniture, cut off any protruding portions of the old wrapping, and glue down the loose ends. Take the new wicker wrapping and attach it to the broken end with glue. Follow the existing pattern to weave the new caning material into the piece. When this is completed, secure the end of the new weave with glue and a tack. The wicker wrapping at the legs often comes loose or cracks. You may need to tighten and secure the wrapping. If the old caning material is too badly damaged, replace it with a length of new wicker wrapping and secure the ends as described above. When all damaged sections are replaced, paint or varnish them or give the entire piece a new coating to restore its beauty. If you choose to go with a new color of paint or varnish, you can refer to a guide to buying outdoor furniture for ideas from designers and decorators. 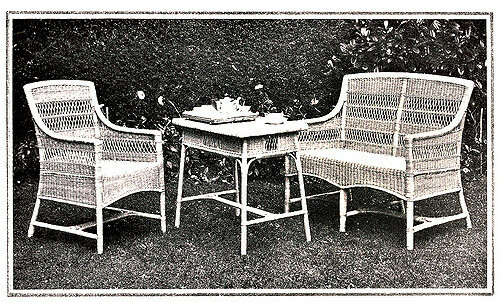 Rattan furniture is both elegant and useful, which is why people treasure it. Rattan chairs, tables, and shelves can last a long time, if they are cared for properly. Even if you’re not a DIY expert, you can repair minor damage to rattan furniture by yourself, using simple materials like glue, varnish and tacks.